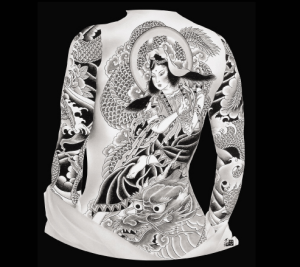 Exclusive Collections Gallery announces an exhibition of a new tattoo series titled “Kimono Ink” created by Japanese artist Hisashi Otsuka. Otsuka’s talent has given him the freedom to explore various multicultural art forms, and his work ethic and meticulous attention to detail translates with grace and emotion into various styles and genres. Merging East and West in his art, Otsuka’s decision to create a new series based on traditional tattoo design speaks to both his Japanese roots and the popularity of tattoos in contemporary Western culture. Otsuka’s works have been collected by Sophia Loren, Brooke Shields, Tina Turner, and other notable figures. This U.S. tour at Exclusive Collections Galleries will be a rare opportunity to meet the internationally renowned master artist in person. For more information on artists, events, or galleries, visit www.ecgallery.com.